No Christian writer would dare utter those words today. It is now weekly that we read of Christians in many middle eastern countries being tortured and hunted and put to death, all because they claim the name of Jesus. And it is daily that we read of Christians being ridiculed for holding to biblical beliefs that used to be generally accepted by our culture. People keep asking me: why doesn’t the “liberal” side of Hollywood and society raise a bigger outcry against Islamic extremists who oppress women, persecute gays, murder innocent people, and forbid most of their music and movies? The answer is rather simple: what many of these people hate most is the Name of Jesus—His claim on their life, His authority, His teaching. They would never put it in those terms—they would say they’re fine with “Jesus,” they just have a problem with His followers. But when they speak, their words reveal they hate the thought of a world surrendered to Jesus and His teachings. The only command of Jesus they can tolerate is the misunderstood one not to judge. When a lesser enemy is attacking your ultimate enemy, you stay silent, right? The hatred is intense and clever but ultimately it’s directed at the One Truth, at Jesus. And we’ve certainly seen our share of false prophets: enlightened former “evangelical” pastors who now throw off what the church has believed and taught for over 2,000 years, and who ridicule those holding to the Bible’s clear teaching on sexual ethics and many other issues as “motivated by hate or prejudice or ignorance.” Never do they consider people might be motivated by a love of Jesus and His word, that we believe Jesus’ words are precious, the key to a truly abundant life. We know not everyone will choose to follow, and Jesus commands us to love and serve those who don’t—and never to resort to violence or hatred. But asking us to deny the truth or beauty of His teachings makes us recoil in horror. He is the truth who saved our souls, and we can no more deny Him than we could pretend we don’t exist. He is our life. So, are our kids embracing a faith strong enough to stand when they are hated, lied about, maligned, and accused of being motivated by despicable intentions? Will their love for Jesus be that strong in the face of hateful opposition? Will their love for God be so strong they can forgive those leveling these charges and even love them and serve them in the face of persecution? The game has changed. There is a palpable hatred, an evil spirit of lying and deception assaulting the church and Christian families. We need courageous young men and women who love Jesus so much and who are so committed to His word they will stand strong until the end. It’s not our call whether or not our kids go through this time—unless there’s a huge revival, they will. The only question is whether we are preparing them adequately. Ephesians 6:4 makes this a command: “Fathers’ do not exasperate your children; instead, bring them up in the training and instruction of the Lord.” We shouldn’t flip out on irrelevant, silly piety (exasperating them). But we should make sure they are both trained and instructed to live the life of a champion for Christ. I pray God’s richest blessings and awesome empowerment on every parent of a young believer. If you raise a nominal “believer,” he or she may well be gobbled up in this onslaught by the time they reach age 25. My parents could prepare their kids for a fifty yard dash, spiritually speaking. My generation needed to prepare our kids for a half marathon. Those of you with young kids? You need to prepare them for an ultramarathon mud-run and obstacle course in driving rain. You can’t afford to be lackadaisical. More than any recent generation before you, spiritual integrity and faith must be your first concern as a parent. We need to double down not just on the “decision” to believe but on discipleship, if indeed we want to spend eternity with our children in the land of truth, beauty, hope, grace, love, and faith. Get together with your spouse: just for a moment, put aside talks of how many sports they’ll play, what schools they’ll attend, what clothes you’ll buy for them and honestly sit before God. Ask yourselves, are we faithfully preparing our kids to embrace and advance the true faith of Jesus in a hostile world? Islamic extremism is succeeding so astonishingly because their task is relatively simple: it is sadly easy to teach people to hate. You don’t have to retrain a heart to unleash resentment and violence. Those poisons already lie in all of us; we just need an excuse to let them out. But to live a supernatural life of love, forgiveness, service, humility, grace, and faith—that’s impossible without God, and still even very difficult with Him. That never happens by accident. Rarely has so much depended on the faithfulness of young Christian parents. The danger? Our children are being wooed, actively, so if we don’t prepare them, we’ll likely lose them. Thomas Brooks wrote, “Where one thousand are destroyed by the world’s frowns, ten thousand are destroyed by its smiles.” If our children are more concerned about being esteemed by this culture than they are basking in the favor of God, we will lose them. Let’s all say a prayer for young Christian families right now. They need our support more than ever. If you’re one of those young families, I sincerely pray you’ll consider this post, reconsider your priorities, and continue (or begin) raising champions for Christ and His truth in the coming generation. Thanks for the kind words, E.J. I’m not sure we need “one Habbakuk” though (nor necessarily his approach), as much as a revived church that will address these issues consistently. A fractured and fracturing church is a significant problem . Having said that, Peter tells us to respond to the enemies of the Gospel with “gentleness and respect,” (1 Peter 3:15) so rather than a prophetic confrontation, I’m praying over how we can speak bold truth bathed in Christ’s love. Many hated Christ even when He spoke perfectly, so many will hate us–we can’t get away from that if we remain true to the authority of God’s Word.. But I hope they hate us for the truth we speak, not the sinfulness or pride with which we speak. It calls for a spiritual sophistication of which I’m sorely lacking, but praying that God will provide. I think this message applies to all of us, whether we have children or not. In some form, we all come in touch with little ones….in our extended family, in our neighborhood, etc. Great write up and wake up call. I have ministered to children for the last 10 or so years. The labour to minister to them is increasing every other year. We have wondering what is exactly happening. I believe the response lies within this write up. THE NEED TO EQUIP THEM FOR A ULTRAMARATHON MUD-RUN WILL EQUALLY REQUIRE ULTRAMARATHON MUD-RUN APPROACH!!!!! I couldn’t agree more Gary. I’m 80 years old and have 6 year old great granddaughter who is being raised in a non-christian home. My wife and I are caring for her after school for up to 6 hours and want to try and mold and shape her Christian formation. She seldom attends church (bible school) and enjoys it and asks to go more often but her dad doesn’ t let us take her too often. Her mother passed away at the age of 31 when her daughter was 5 years old. She speaks of her mommy being i heaven. Not sure she is there but wont burst her bubble. She does believe in God and Jesus but not nuch else. What would you suggest we do in the way fo Christian instruction? 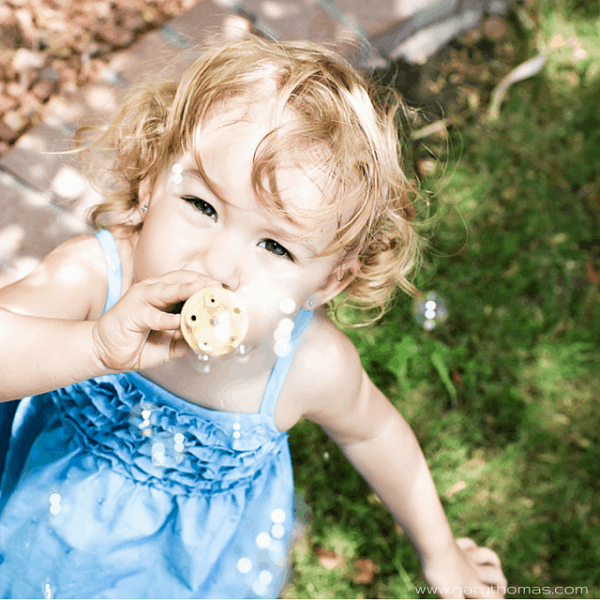 I would gradually teach her the truths of the faith–someone who works at your church with children could probably suggest some helpful curriculum/books that they use in Sunday school that you could take her through. To be honest, if you spend 30 minutes a day with her on this, that’s far more than most children get. I’d also see if her dad would allow you to take her to a Vacation Bible School when she’s out of school. If he’s not open to her being away from him and at church on Sundays, you can sow the seeds of faith throughout the rest of the week. Bless you for your efforts–it’s a great application that I didn’t think to include in my post. Thanks for your response Gary, you’ve given me a great idea. Vacation bible school is just around the corner. I will certainly ask him to let us take her. I don’t think it will be a problem because both he and his fiancé will be working through the day. And many thanks for all your blogs. I truly enjoy reading them and putting them into action. Your latest, fire up your marriage was a great read. My wife and I will surely give it a whirl. We are celebrating our 60th anniversary in July. Its never too late to fire up the old engine. Well said and a great reminder. These words of counsel should be in front of every parent with young children and those of us in front of them should be praying over them, agreed. A further challenge/reminder – if we have children, we are always parents, regardless of their ages! These words are sound advice to all parents and if we have not “exasperated” our children and are in relationship with them, we can continue to speak into their lives the Word of truth. Seasons change but lets all remember that until Christ calls me home I am always “dad” to my kids – how I go about it changes but I’m still Dad. Wow! Many of these thoughts have already occurred to me, as the mother of children ages 7, 8, and 11, and my husband and I are intentional about discipleship. But what you’ve written here is so compelling that I feel it’s a call to action for a deeper commitment at an all new level. 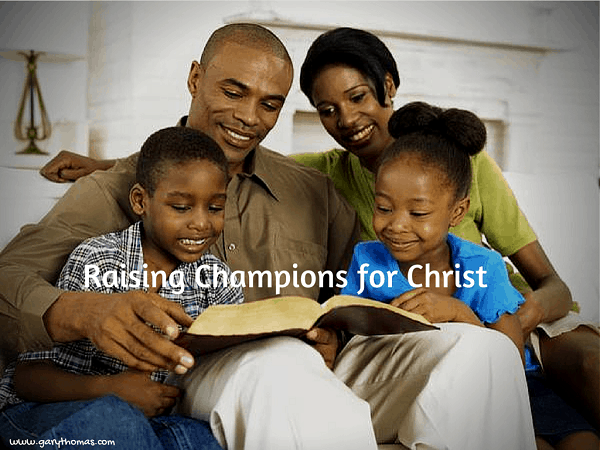 I’ll be sharing this article with my husband, and we’ll be praying about how to prepare our children to go forth into this world as champions of Christ! Thank you, Gary! Exactly the kind of response I was praying for. May God richly bless you and your husband Keri. We’re all praying for you! Well written and absolutely true! 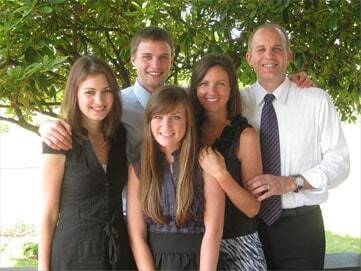 For those of us who are empty-nesters, we need to be on our knees in prayer for the parents and for the youth. Our greatest battles are fought on our knees!